I have seen the play/musical, the dramatic version movie and have caught the full (almost three hour) 25th anniversary production on DVD (you can watch that in full on YouTube here). So it would be accurate to say that I love the Les Misérables saga. My problem with this movie was how much it was hyped before I saw it. One reviewer called it the best musical movie ever. Even so, I greatly enjoyed seeing this big screen epic. The story still captivates my heart. I wept when Ann Hathaway sang I dream a Dream. My soul arose within me when Hugh Jackman sang several of the songs - I love the way that Jean Valjean is written as a man of faith and integrity. Other singers were outstanding as well. Even Russell Crowe's singing was better than I expected. All that said, I do think that you might be a tad disappointed if you are expecting the operatic voices that accompany the Broadway Musical. Movies are generally more about acting and actors rather than singing and singers. 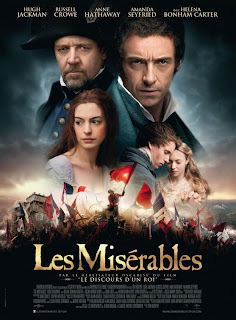 I loved Les Misérables, recommend it to you and, on a scale of ten, give it ★★★★★★★★★. Don and I saw it last week, and I would agree totally with your assessment. I am so moved by the story and the music. We happened onto the 1934 movie production in French dubbed in English. I very long, but it was great, I needed to go to bed, but it was so interesting I had to stay up to see it. We've watch the link you gave a couple of times. Can't get enough of it. In fact, when it comes out, I will buy it so I can have the caption, since I miss alot with my hearing aids. It is such a wonderfully moving story Wanda. I found it good but not fantastic. I totally agree with your review and particularly liked it when you said, "I do think that you might be a tad disappointed if you are expecting the operatic voices that accompany the Broadway Musical," which proved to be true when I sat myself in the cinema and heard them sing. And I found that the marrying of the realistic scenes and the surreal singing of dialogues makes it even harder to access the movie. Having said that I loved the scenes and how the actors brought forth the characters. I love how Hugh Jackman did the Who Am I scene, Anne Hathaway's I Dreamed a Dream, Samantha Bark's On my Own was brilliant and I really like how Eddie Redmayne did Empty Chairs at Empty Tables. I am quite disappointed with Russell Crowe's performance when he did his bigger songs though. Loved those songs too Pearlie! Was surprised by Eddie Redmayne's beautiful voice. We're going to go see it Saturday. Look forward to reading your thoughts about it Fred! I haven't seen any of them. I have heard so many mixed reviews about the movie but I do plan on seeing it. I need my own opinion of it. Hope to see it in the next few weeks. Thanks for your review. I will be interested to hear your feedback Debbie. 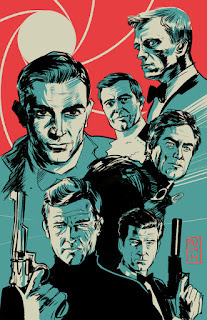 My DH and I saw it last weekend...I think I enjoyed it more than he did, although he said he enjoyed it also, but he said it with a slight hesitation in his voice. I love Hugh Jackman. I thought his performance was outstanding. Thanks for that feedback Susan!